White Glove Delivery Service: We fully understand that the proper delivery of an item or product (whether it is a customer leather couch, king-sized mattress or a one-thousand pound gun safe) results in a lasting impression on a company's customers. Our objective is to ensure quality service to help build or maintain this relationship. We will be happy to schedule all deliveries then call your customers in advance to notify them that their delivery will be made within an agreed-upon time frame. All products will be delivered by a minimum two-man crew to ensure the highest level of service. Dedicated Route Services: Blue Truck Moving can customize a dedicated delivery service plan based upon any requirements asked of us. By utilizing our fleet of box trucks, trailers, cargo vans, and electric vehicles, we can provide street-level or dock-high delivery service. 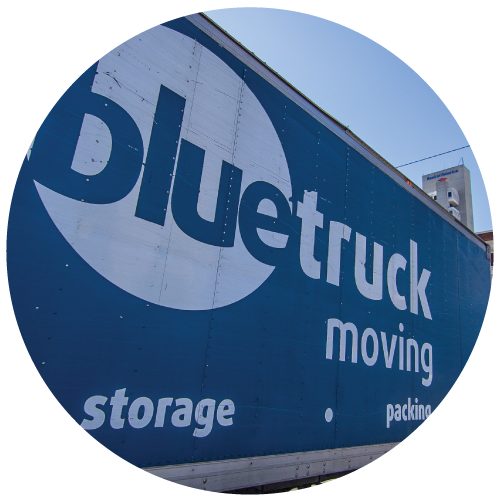 On-Demand Delivery: Blue Truck Moving can provide same-day delivery services for a vast array of products and goods. Whether it is documents, parcels, healthcare products, critical parts, or any other required item, Blue Truck Moving can distribute the product in a time-sensitive manner. Warehousing & Distribution: Blue Truck Moving provides single-source warehousing and distribution solutions. We will receive shipments, unpack products, verify accuracy, inspect for any damages, and stage for final pick-up or distribution. Our internal processes and technology allow for consolidation, cross-dock, same-day or next-day distribution requirements.